In the decade between 1955 and 1965 a coterie of discerning Hollywood hipsters appropriated the incomparable Ivy League clothing of America’s East coast elite. These West Coast actors elevated the Ivy look to the height of cool and defined a quintessentially American male dress code for a new generation of movie audiences. 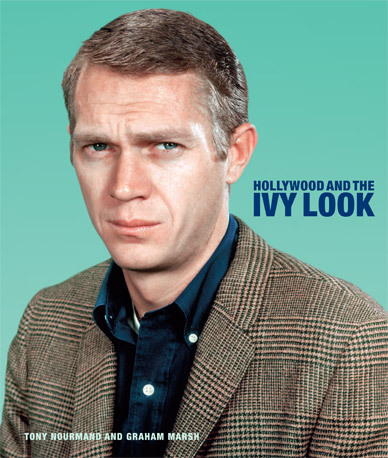 This November, Reel Art Press delivers a pictorial celebration of the look and attitude of ‘Ivy’. Exhaustively compiled over 280 pages and featuring many previously unreleased images, Hollywood and The Ivy Look is the first large format coffee table book to take an in-depth look at how ‘Ivy’ established itself as the epitome of 1960s Hollywood style, gained a new democratic global following and a place in history as the look of modern America.